If you miss a call, then clear it from one handset, it remains showing missed call and flashing red light on the other handsets. The following is a solution to this annoyance. The following disables the missed call log. Refer to More Resources below for alternative solution if you want to keep missed call log but disable the pop up message. Press the OK button on the phone, this will show you the IP of that phone. 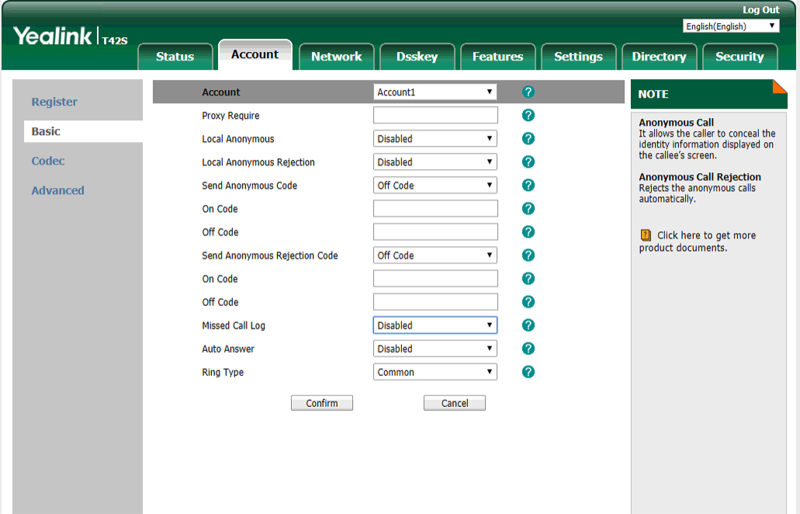 You can also discover IP addresses via your router. Enter the IP obtained in step 1 into your web browser, and log into the phone. ​The default login info for a Yealink phone is “admin” (without the quotation marks) for the username and the password. Set Missed Call Log to Disabled.